Grab your shotgun and make sure you have a sling attached. It’s time to take a hike. As turkeys become leery to your hunting tactics, you need to step up your game. Spot and stalk may not be the card you pull on day one of a hunt, but it can be an option. 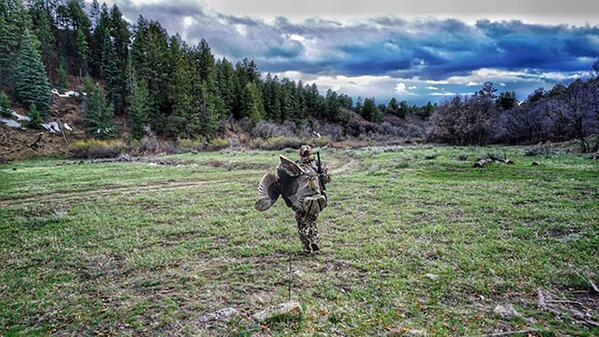 We discussed scouting for turkeys, so you’ve likely already found the area in which they roam. Now it’s time to get within shotgun range. Optics are essential for this task. Walk quietly and find a place on a hill, where you can observe but won’t be sky-lined. Use trees as cover, and make sure animals won’t be able to see your silhouette. Look through the glass and scan for bulbous turkey bodies. By now the turkeys may have gone into stealth mode and quit talking. You should always listen for clucks, purrs, and gobbles. If you aren’t able to spot a bird, at least take note of where you’re hearing them purring and scratching as they feed through a meadow. Once you’ve spotted turkeys or discerned where their sounds are coming from, it’s time to prepare for a stalk. Prepare your shotgun and always obey the four rules of firearms safety as you stalk in the field. Your gun IS loaded. Now is no time to forget this most important rule. If you’re not up to the task, don’t try to spot and stalk. You most likely have a shell in the chamber. Your safety has to be on, but never rely on it; it is a mechanism that can fail. You have to be the safety and follow the rules. Keep your finger off the trigger and out of the trigger guard. As you’re attempting to sneak up on a turkey, your focus will change. As you maneuver across uneven terrain the possibility of a slip or trip increases. Make sure your finger is in a location as such that if you lose your balance, you’re not squeezing the trigger. Keep your muzzle pointed in a safe direction. 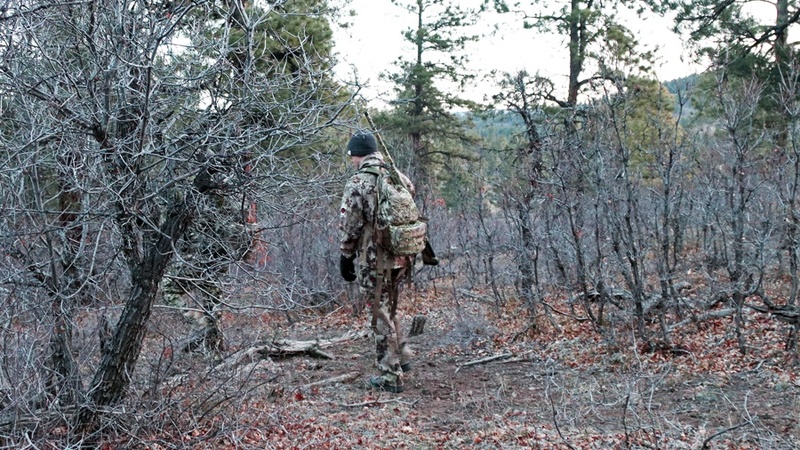 Whether you’re hunting with a partner or solo, you have to be aware of where the gun is pointed. Don’t muzzle-sweep someone else or yourself. Be aware of your target and what is beyond. Once you get in range of the turkey, you’ll need to calm your adrenaline and assess your surroundings. 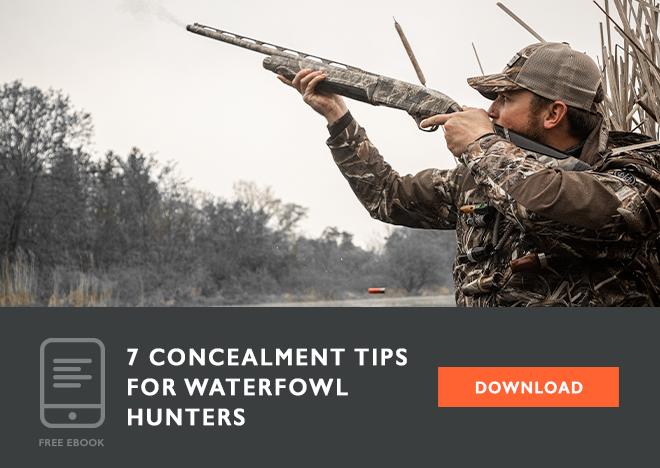 Make sure there are no other birds or hunters beyond the tom you’re targeting. We walk around every day. Heck, we’ve done it our entire lives, right? So how can it be a challenge to stalk? For starters, turkeys have incredible senses of sight and hearing. Many turkey hunters attest that if turkeys could smell, you’d never kill one. That being said, at least you don't have to play the wind as much as you would if you were sneaking up on a bull elk. I say you don’t have to play the wind “as much” because if the breeze is blowing straight toward the turkey’s location, it is also carrying the sounds you are making. If you can hear yourself, be assured the bird(s) can hear you too. The key to stalking is being quiet. Quiet gear is just as essential as your movements and steps. Always scope out your route before making a move. Look for openings in the brush and take note of obstacles. Find the path of least resistance. Once you set into motion, tread lightly and keep an eye on where you place your feet. As you place your boot on the ground, set the heal down first, rolling it gently forward in a diagonal motion. Think “heal, side, ball, toes” as the pattern of movement and weight transference. Pay attention to what you feel beneath your feet. Don’t transfer your entire weight until you know you have a good foot-hold, and that you’re not placing your boot on a stick or branch that’s going to make a loud cracking sound. Use trees and shrubs as cover to mask your movements. Freeze in your tracks if a hen emerges and you’re caught in the open. If it’s the tom and he’s in range, assess the scene to make sure no other birds are behind him, shoulder your gun and take your shot. There are times when you can determine where the birds are headed while they’re feeding. Maneuver quietly ahead to cut off their path. Set up quickly an prepare for a shot. Again, make sure your tom is clear of other birds before pulling the trigger. Remember, always be safe when maneuvering with a loaded firearm.